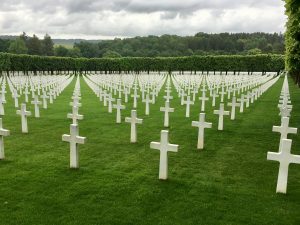 At the end of May, Audrey and I made the trip to the Meuse-Argonne in France to see my grandfather’s battlefield of 100 years ago. My love of history and my conviction that 50-year segments of time are significant induced us to make the trip this year. 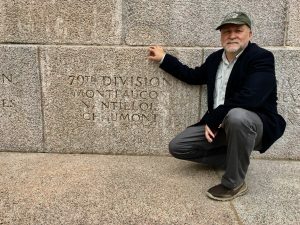 Thanks to all the staff at Military Historical Tours of Woodbridge Virginia and a special thanks to John and Bob who went the extra “many” miles to put us on the 79th division’s battlefield. 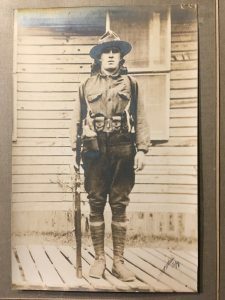 Sunday, November 3, 1918 my grandfather would often recall as his worst day, losing many buddies and experiencing numerous personal close calls, as a sergeant in the 304th engineers of the 79th division of the US Army. The 79th was in the early stages of attempting to capture “Corn Willy Hill” from the Germans to take away the eyes of their artillery. 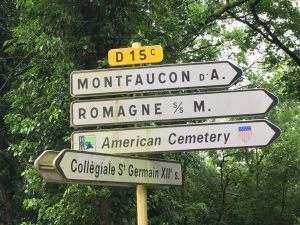 That same German artillery had found the 304th engineer train’s staging area on Samogneux hill just to the south thus the losses that Sunday. The 79th would succeed in their mission but lose many good men over the next several days. However, November 3, 1918 always stuck out to my grandfather as his most perilous hours. November 11 and the end of WW1 was only 8 days away, imagine the roller coaster of emotions in those early days of November 100 years ago. 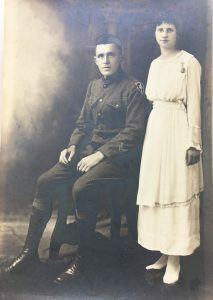 He and my grandmother (the girl he left behind) always celebrated November 11, Armistice Day, as the day they got their lives back. Our upcoming Veterans day on November 11, 2018 is 100 years in the making. To all our veterans, Thank you for your service! At Camp Mead ready to ship out. Summer 1918. 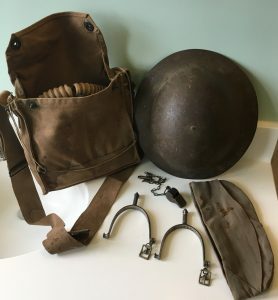 His helmet, gas mask, whistle, and spurs. 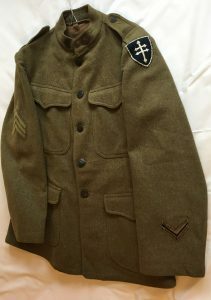 His uniform with the Cross of Lorraine patch, the symbol of the 79th division. 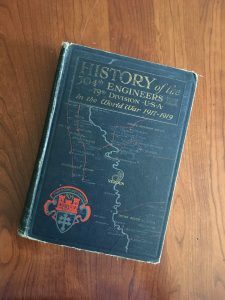 His history of the 304 engineers, he kept this book until his death. In the back is a roster in which he checked off his comrades as they passed with a D beside their name. 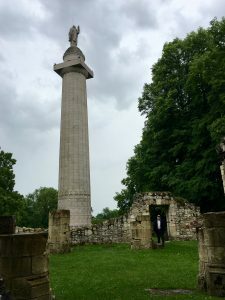 The memorial tower at Montfaucon amid the church ruins. 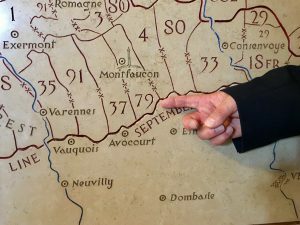 A major objective of the big drive which started on September 26, 1918. The 79th remembered at the base of the tower. 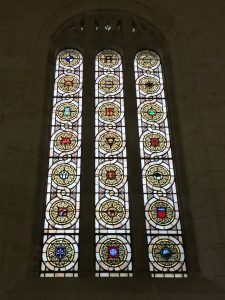 The stain glass window in the chapel notice the Cross of Lorriane, bottom left. Best book on the 79th division in WW1! 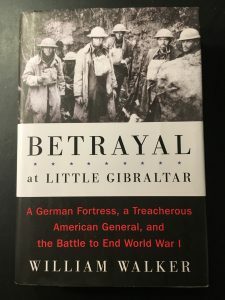 Thank you, William Walker! By the grace of God this story has a happy ending!